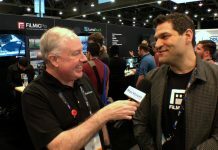 We caught up with Glenn Fleishman to chat about three of his Take Control Books. The most recent, Take Control of Slack is not only for the new Slack user, but also the experienced individual who wants to access features that aren’t always obvious, but are always useful. 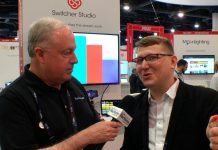 Glenn talks about the history of the service, how it has become a standard for not only business, but for a variety of types of groups who want or need collaboration capabilities. In Take Control of Your Apple ID, Glenn talks about the challenges and pitfalls of all the things that your Apple ID is used for. A surprising rule about email addresses, the most frequently asked questions about Apple IDs and other tips are all part of the discussion, and of the book. Take Control of Wi-FI Networking and Security helps you understand the demands of today’s wireless networks and how to keep yourself safe and secure while using them. Glenn covers the inevitable choices between features and cost, and helps you decide not what is best, but what is best for you. 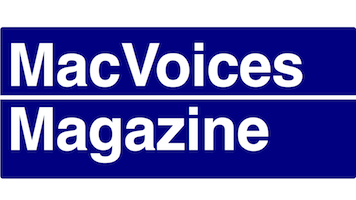 This edition of MacVoices is supported by MacVoices Magazine, our free magazine on Flipboard, helps you do more with your Apple tech. Glenn Fleishman is a Seattle-based technology journalist and two-time winner on Jeopardy. He write largely about where technology crosses with people’s lives, as well as exhaustive technology explanations. 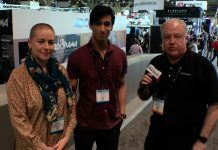 At Macworld, he authors the Mac 911 user-help column. He has contributed to the Economist since 2005, including nearly 400 online blog posts and articles, as well as Fast Company, MIT Technology Review, Boing Boing, TidBITS, Six Colors, and others. You can find him on Twitter as @glennf, and check out everything else at his blog.